Japanese nationalists, starting with Prime Minister Shinzo Abe, need no encouragement to follow US President Donald Trump’s example. But if they do, they will echo the worst aspects of contemporary America – and throw away the best of what the US once had to offer. TOKYO – Even whales have now been affected by US President Donald Trump. This year, Japan will withdraw from the International Whaling Commission and resume commercial whaling. Prime Minister Shinzo Abe’s conservative government claims that eating whale meat is an important part of Japanese culture, even though the number of Japanese who actually do so is tiny compared to a half-century ago. And leaving the IWC will mean that Japanese whalers can fish only in Japan’s coastal waters, where the animals are relatively few. The truth is that the decision was a gift to a few politicians from areas where whaling is still practiced, and to nationalists who resent being told by foreigners in international organizations what Japan can and cannot do. It is an entirely political act, inspired, according to the liberal Asahi Shimbun, by Trump’s insistence on “America First.” This is a matter of Japan First. Even though Trump is unlikely to mind, Japan’s insistence on whaling is bad for the country’s image.Abe, himself a staunch Japanese nationalist, has a complicated relationship with the United States. Abe, himself a staunch Japanese nationalist, has a complicated relationship with the United States.Like his grandfather, Nobusuke Kishi, also a nationalist who was arrested as a war criminal in 1945, but who then became a loyal anti-communist ally of the Americans, Abe does everything to stay close to the US, while also wanting Japan to be first. One of his dreams is to finish his grandfather’s attempt to revise the postwar pacifist constitution, written by the Americans, and come up with a more patriotic, and possibly more authoritarian document that will legalize the use of military force. Abe, himself a staunch Japanese nationalist, has a complicated relationship with the United States. 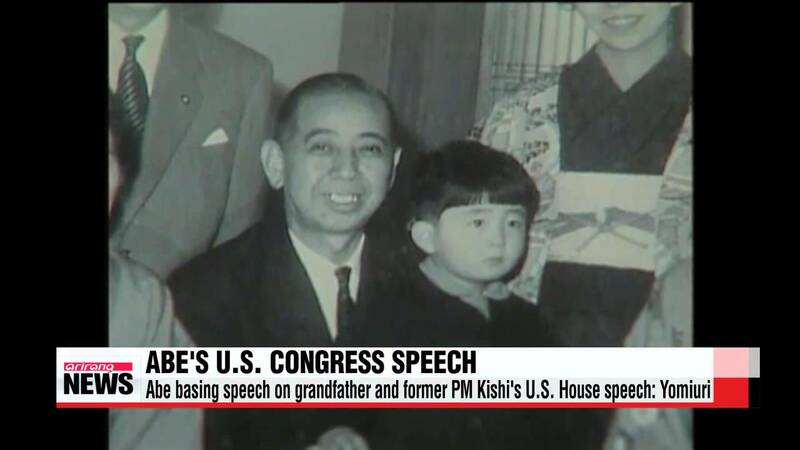 Like his grandfather, Nobusuke Kishi, also a nationalist who was arrested as a war criminal in 1945, but who then became a loyal anti-communist ally of the Americans, Abe does everything to stay close to the US, while also wanting Japan to be first. One of his dreams is to finish his grandfather’s attempt to revise the postwar pacifist constitution, written by the Americans, and come up with a more patriotic, and possibly more authoritarian document that will legalize the use of military force. Japan has to be a stalwart American ally. Germany and Italy, the other defeated powers in World War II, have NATO and the European Union. Japan has only the 1960 Treaty of Mutual Cooperation and Security with the US to protect itself against hostile powers, and the rise of China terrifies the Japanese. That is why Abe was the first foreign politician, after British Prime Minister Theresa May, to rush to congratulate Trump in person in 2017. But the democracy that Americans are still proud of installing after 1945 has also been hindered by US interference. Like Italy, Japan was on the front lines in the Cold War. And, like Italy’s Christian Democrats, Japan’s conservative Liberal Democratic Party benefited for many years from huge amounts of US cash to make sure no left-wing parties came to power. As a result, Japan became a de facto one-party state. This led to a kind of schizophrenia among Japan’s conservative nationalists like Abe. They appreciated American largesse, as well as its military backing against communist foes. But they deeply resented having to live with a foreign-imposed liberal constitution. Like the Tokyo War Crimes Tribunal in 1946, in which foreign judges tried Japan’s wartime leaders, the constitution and all it stands for is seen as a national humiliation. The Japanese right would like to overturn much of the postwar order, established by the US with the support of Japanese liberals. Abe’s revisionist project does not only concern the pacifist Article 9, which bars Japan from using armed force, but also matters like education, emergency laws, and the role of the emperor. To change Article 9, the current coalition government would need support from two-thirds of the Diet, as well as a popular referendum. After his landslide election victory in 2017, Abe has the required parliamentary majority. Whether he would win a referendum is still doubtful, although he has vowed to test this soon. On education, he has already won some important victories. “Patriotism” and “moral education” are now official goals of the national curriculum. This means, among other things, that obedience to the state, rather than individual rights and free thought, is instilled at an early age. It also means that the history of Japan’s wartime role, if taught in classrooms at all, will be related more as a heroic enterprise, in which the young should take pride. In the past, the US, despite all its own flaws and criminal conflicts, still stood as a force for good. An ideal of American openness and democracy was still worthy of admiration. At the same time, again as in the case of Western Europe, dependence on US military protection has had a less positive affect. It made Japan into a kind of vassal state; whatever the Americans wanted, Japan ends up having to do. This can have an infantilizing effect on politics. In the age of Trump, America is no longer so dependable. This might at least help to concentrate Japanese minds on how to get on in the world without the Americans. But the US has also ceased to be a model of freedom and openness. On the contrary, it has become an example of narrow nationalism, xenophobia, and isolationism. Japanese nationalists need no encouragement to follow this model. If they do so, Trump certainly will not stand in their way. They will echo the worst aspects of contemporary America – and throw away the best of what the US once had to offer. Posted in civil society issues, Foreign Policy, Geo-Economics, Japan, Leadership, Politics, Project-Syndicate.org, Shinzo Abe (Japan). COMMENT | There are three Japanese policies embedded into Malaysia. The Look East Policy is but one. Even then, Look East involves learning from the rapid economic developments of South Korea and China as well. Thus, the Look East Policy alone, while necessary, is not sufficient to understand what Prime Minister Dr Mahathir Mohamad seems to want to achieve by making three trips to Japan over the last six months. The other two policies are Malaysian Incorporated, abbreviated as Malaysian Inc, and the policy of sogososha (huge conglomerates). Second, as a democracy, albeit an Asiatic one, Japan was in a position to explain to the rest of the G7 if the region was heading towards more democracy. To the degree the emphasis was not on democracy but business, Mahathir was hoping that the West and Japan could see Southeast Asia as a location where their foreign direct investments (FDI) could grow. Thus the ritualistic attendance at the Nikkei Asian Conference every June, which Mahathir attends without fail. Third, Mahathir knows, from watching it intensely from the 1960s onwards, that Japan has capable acts of heroism. While the conversation threads can occasionally veer into “hara-kiri” or ritualistic suicide to atone for one’s shame, it has also headed in the direction of volitional resignation. 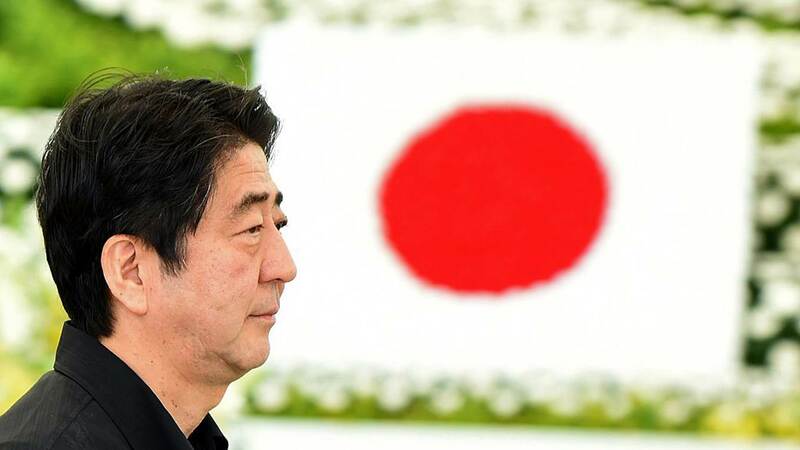 When Japan Inc or the government made any mistake, it was adept at either offering a contrite apology, changing its previous behaviour completely or resigning from the positions of responsibility. Calling the Pacific War a war of necessity rather than a war of Japanese imperial aggression, for example, was enough to make any minister resign within a window of 24 hours. 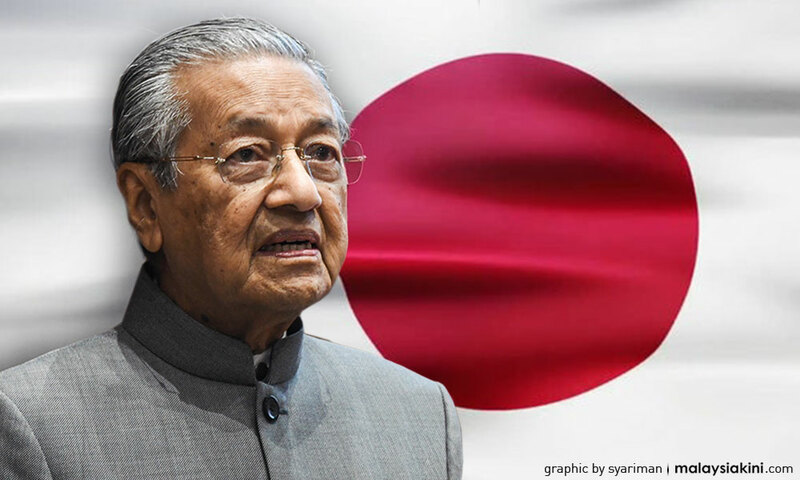 Japan has, and did, learn from the conflicts of the past which is why the Peace Constitution of Japan is something which Mahathir continues to admire, even suggesting as recently as August that it could help Malaysia avoid from being entrapped in any armed conflict. 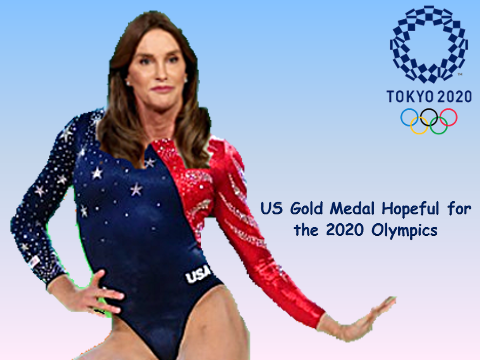 Fourth, there is a high degree of congruence between the Japan of the past, especially Tokyo Olympics 1964, the first Olympics in Asia, and the impending Tokyo Olympics 2020, which is 18 months away from now. The key point is the Japanese fascination with making things, and the future, better. Both are events to show case the future of Japanese technology within the context of what Asian technology can achieve. Invariably, this ranges from receiving the athletes at the major metropolises like Tokyo and Osaka to transferring them to other cities for various events. If in 1964 the focus was on bullet trains, in 2020 the key experiment would be driverless cars. Fifth, Japan is not often seen through the optics of strategic balance or to counter to the emergence of China or even North Korea. When Mahathir became the Seventh Prime Minister in May 2018, he did not block Malaysia from reopening its mission in Pyongyang in North Korea. Yet North Korea, to this day, remains the arch enemy of Japan. Nor did Mahathir try to pitch Japan against China, another strategic rival to Tokyo. The Mahathir doctrine is about clearing all warships from the South China Sea without fail. 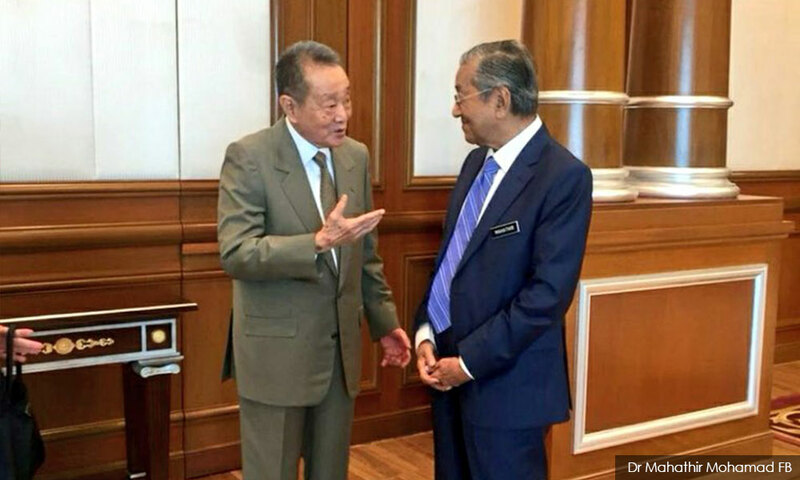 By using Robert Kuok (on left in photo) as a conduit to get to know President Xi Jinping and Vice-President Wang QiShan of China, Mahathir knew he was using a practical “centrist” (and one who is Malaysian, too) to reach out to the top leadership in China. He wasn’t trying to use someone who believes in transforming Japan into America’s “unsinkable aircraft carrier”, an expression used by former Prime Minister Yasuhiro Nakasone during Mahathir’s first tenure as the fourth Prime Minister of Malaysia (1981-2003). 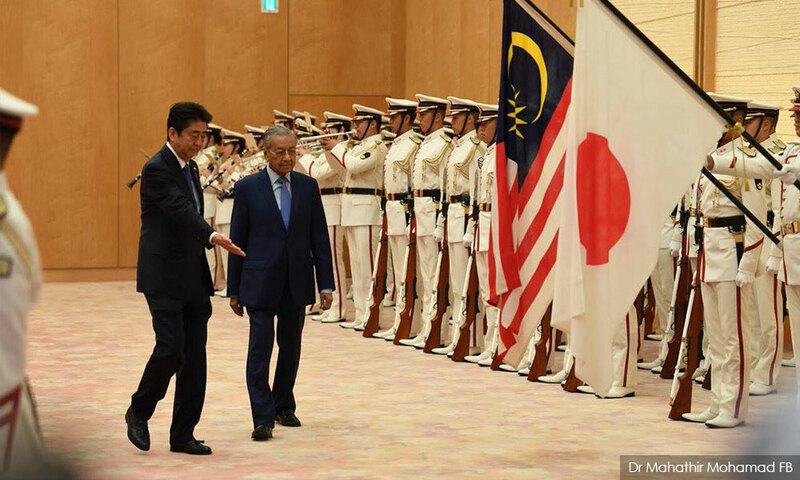 By obviating the importance of the fifth aspect of the Japanese Malaysian relationship, Mahathir is indeed Looking East without being locked into any conflict with Japan’s nuclear and conventional arms rivals in the Northeast Pacific or the East China Sea. In the months to come, the Japanese and Malaysian relationship can only strengthen when Anwar Ibrahim, the Prime Minister-in-Waiting, also exercises the same level of energy and pulsating pace to keep the two countries locked in a strategic embrace. There are no signs to suggest that Anwar won’t keep up the tempo with Japan. First, Anwar is a big believer in the “Asian Renaissance,” a theme he explored in the book which he wrote in the 1990s. He is also an ardent admirer of the Quranic scholarship and hermeneutics of the late Toshihiko Izutsu , one of the best scholars to have ever emerged from Japan. Anwar is also a huge fan of Rabindranath Tagore, the Indian writer who was inspired by Japanese Pan Asianists like Ogawa Shumei and Tenshin Okakura at the start of the 20th century. The trio believed that Pan Asianism could be the ideological glue for the region. Some of the think tanks of Anwar – such as the Institut Kajian Dasar (IKD) and the Institut Rakyat – have had good relationships with the Sasakawa Peace Foundation and the Nippon Foundation in Tokyo. Such links have been cultivated over the course of the last 25 years. Their ties are not brittle and delicate. In fact, these organisations are keen on working with Mahathir and Anwar jointly. The future of Malaysia and Japan can only brighten when all Malaysians take Japan as seriously as the top two. When Waseda University, the University of Tsukuba, the Toyo University, and potentially other Japanese education groups begin working closely with Malaysia, the Look East policy will then gain in ascendancy, creating room for similar entities from China and South Korea to do the same in Malaysia. For now, the key is to send more workers, students, trainees, interns and even future leaders from Malaysia to Japan’s Graduate School of Policy Studies. By 2020, the Japanese Prime Minister wants a total of 300,000 foreign students in Japan. It would be an exceptional feat if one-third of them are Malaysians. That would be 100,000 Malaysians who understand contemporary Japan and how she competes with South Korea and China in a healthy manner. These 100,000 Malaysians will help to move the country towards 2025 – the period when Mahathir believes Malaysia can be a developed country on par with Japan. PHAR KIM BENG is a former visiting scholar of the Japan Institute of International Relations in Tokyo. Posted in Asia, Foreign Policy, Japan-Malaysia Relations, Malaysia's Look East Policy 2.0, Malaysiakini, Shinzo Abe (Japan), Tun Dr. Mahathir Mohamad. Not many people were surprised when Dr Mahathir Mohamad revived his Look East Policy. He has always admired the Japanese work ethic as well as the way they were able to rebuild their nation after the devastation of World War II. Of course, Japan’s accomplishments have been phenomenal and there’s much we can learn from them. Cynics will, however, wonder whether anything qualitative has come out of the whole effort to learn from the Japanese, at least in so far as the civil service is concerned. Civil servants come to work on time with the clock-in system and are readily identifiable by their name tags, but has it made them more productive, more committed to public service, less corrupt? Judging from Mahathir’s own harsh remarks about the civil service, it would seem that the answers to all these questions are a resounding no. In fact, successive Prime Mnisters have complained about the civil service but all have been quick to also praise them (and raise their salaries) for fear of antagonising an important vote bank. We also spend millions, year after year, on civil service training programmes, and send civil servants abroad to study. Much of it is simply a waste of time and money. He then called for a collaborative effort (presumably with ACCCIM and the Malaysian Chinese business community) to lessen income disparities so that everyone could share in Malaysia’s prosperity. It was not the first time that Mahathir has mooted such an idea. 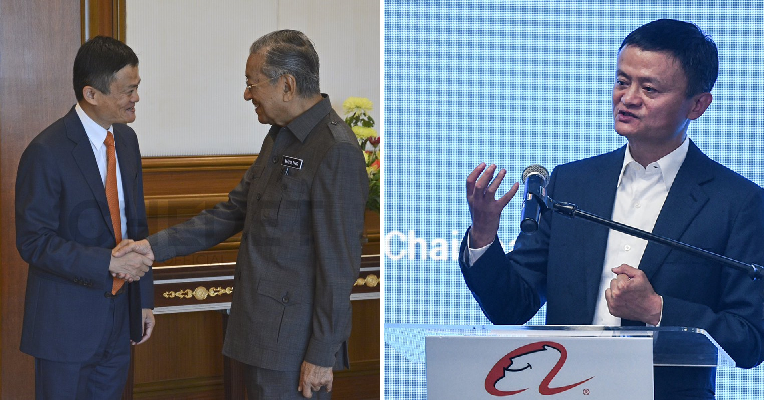 Is renewed interest in the Look East policy a reflection of Mahathir’s disenchantment with the inability of Malaysian businessmen to work together? Is he looking East because he has not been able to look within? It’s a provocative question, no doubt, but it deserves some attention. In the past, such collaboration may have been difficult – you can’t demonise a community and then expect it to be helpful – but with a new government in power it might be time to seriously look at ways to get more Malay and Chinese businessmen to work together. The government’s plan to privatise some of the GLCs might, in fact, provide opportunities for such collaborative efforts. In the meantime, buoyed by Pakatan Harapan’s election victory and hopeful of a more inclusive future, many Malaysians are returning home. We must find ways to tap the expertise, skills and connections of all Malaysians wherever they are. Some Malaysians living abroad, however, are waiting to be wooed. One group of them recently urged the government “to form a special panel to woo those living there to return home and join government-linked companies to contribute to the development of a new Malaysia”. They also asked the government to “provide incentives and remove certain restrictions to encourage them to come back”, to quote one report. Just ask Yeo Bee Yin, our Minister of Energy, Green technology, science, climate change and environment; she didn’t need incentives to come home to serve her country. It is good that she is now in a leadership position. Posted in Character and Integrity, Corruption, Ethics, Governance, Japan, Leadership, Malaysian Civil Service, Shinzo Abe (Japan), The Malays, Tun Dr. Mahathir Mohamad. Prime Minister Mahathir Mohamad appears to be setting the tone for a revision of Malaysia’s geo-economic policy, if the bilateral meetings with his Indian and Japanese counterparts in the early days of his administration are anything to go by. Indian Prime Minister Narendra Modi called on Mahathir not too long after the latter assumed office. 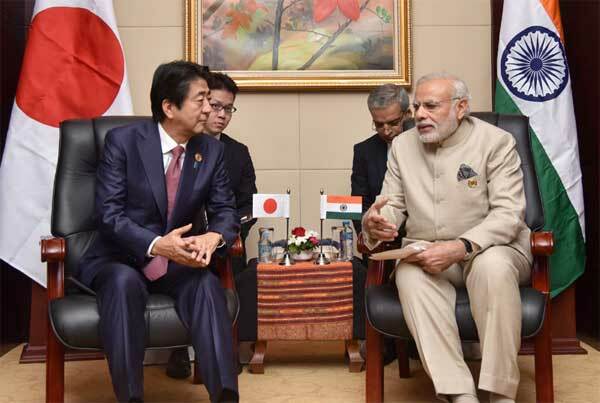 The meeting was significant in so far as Modi is keen on ‘Acting East’ and forging stronger ties with ASEAN. With Mahathir at the helm, Modi may well have an active and influential partner in the region. India is likely to be an economic powerhouse in the coming decade or two, and any long-term economic architecture in the region will have to take this reality into account. Does Mahathir run the risk of disrupting Malaysia’s economic relations with China by engaging with other partners? Not quite, but he does want to tilt the balance. Mahathir is not questioning China’s intention to build friendly, harmonious and prosperous relations with the region or with Malaysia. But he is adding a dose of reality to some of the more questionable investment agreements that Malaysia has entered into with China and wants these deals to be reviewed. Mahathir has said that ‘we will be friendly to China but we don’t want to be indebted to China’. The Prime Minister is keen to do business with anyone who means business, provided there are no hidden caveats and Malaysia is not compromised. If there was any question of wanting to cut off China, Mahathir would not have met with Chinese entrepreneur Jack Ma. This brings us to Mahathir’s meeting with a second foreign leader, Japanese Prime Minister Shinzo Abe. Why did Mahathir choose to go to Japan on his first official overseas trip soon after he came to power? Mahathir probably sees value in reviving his ‘Look East’ policy, which he pursued while prime minister in the 1980s, perhaps in a different form and for slightly different reasons. There is an element of nostalgia, to be sure. But Mahathir is not is not a sentimentalist. The previous Najib administration did not treat the notion of equidistance from global superpowers with the sensitivity it deserved. There was a tumbling over to China coupled with a reticence to engage with Japan, at least with nothing of the enthusiasm that Tokyo enjoyed during the Mahathir 1.0 era. Mahathir has always believed in maintaining equidistance from other powers, preferring to work with the larger economies as equals. Mahathir would, by logical extension, be willing to cooperate with China’s Belt and Road Initiative as long as the partnership is fair and without Beijing using Malaysia as its playground. In that respect, reaffirming Malaysia’s long friendship with Japan is a reassertion of Mahathir’s pragmatic approach to geo-economic policy. But equidistance is not possible without the existence of something like the Non-Aligned Movement. In lieu of that, Mahathir will likely pursue equidistance through a more integrated ASEAN in partnership with other countries such as the United States, China, Japan, South Korea, India and the Central Asian states. This would be a revival of his East Asian Economic Caucus (EAEC) concept. A close-knit ASEAN, through the EAEC, would be able to give countries such as Malaysia more access to foreign markets without having to pay an onerous price for doing so. It would allow countries like India to trade and invest in Southeast Asia or other places while being able to show their home constituencies that they can make gains without paying for them with tough commitments. Strengthening ASEAN’s economic cohesion and including other powers through the EAEC would mean that neither the United States nor China could dominate Malaysia’s foreign policy. Malaysia would not have to choose between aligning with either power. Mahathir’s discussion with Jack Ma after his India and Japan meetings shows the Prime Minister’s pragmatism — more than being caught up in great power politics, Mahathir wants to push ahead with attracting no-strings-attached investment, be it from China, India or any other part of the world. Mahathir understands that trade and investment are Malaysia’s lifeblood. Improving Malaysia’s networks with the rest of the world’s markets must take top priority to foster better trade and investment connections. Mahathir’s meetings with Modi and Abe will set in motion a couple of initiatives. Malaysia will return to its default position of maintaining equidistance between superpowers. Japan will not feel it is being edged out of Malaysia’s investment landscape. Malaysia will stand for a free and unaligned ASEAN, with Mahathir leading a campaign for a new trade architecture that might be more palatable to Southeast Asian countries and which will minimise the conflicting demands of China, the United States and India by embracing Japan. Of course, the EAEC idea will have its share of detractors and non-adherents. Much as Mahathir has a tough job setting domestic affairs right now, he has the no less difficult task of realigning the country’s geo-economic policy. 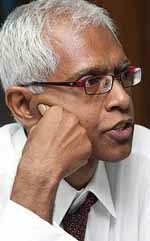 Shankaran Nambiar is a senior research fellow at the Malaysian Institute of Economic Research. A version of this article originally appeared here in The Sun Daily. Posted in ASEAN, ASEAN Economic Community, Asia, China-Malaysia Relations, Foreign Policy, Geo-Economics, India, Japan, Shinzo Abe (Japan), Trade and Investment, Tun Dr. Mahathir Mohamad, www.eastasiaforum.org, Xi Jinping. East Asia as a region comprises the sub-regions of North-East Asia and South-East Asia, the latter being the countries of ASEAN and Timor-Leste. The ASEAN region developed steadily with peace and prosperity as its watchwords. It became known as a region consistently posting some of the highest growth rates in the world. Yet ASEAN and its member countries were severely constrained by a lack of economic weight and global reach. ASEAN’s diplomatic clout is fine, but South-East Asia as a region falls short of economic heft in a rapidly globalising world. Nonetheless, the forces of globalisation themselves would take care of that with growing economic integration within East Asia. North-East Asia included two of the world’s three largest economies, so as a region it had no problems of limited reach or heft. Despite global constraints, China on the whole continued to grow. As the economies of North-East Asia and South-East Asia grew more integrated, growth in East Asia as a whole would soon reach an altogether different plane. Studies generally find intra-regional trade surpassing foreign direct investment (FDI). A 2009 study found that tariff reductions as well as closer monetary cooperation among East Asian countries made sense. A report by the Asian Development Bank Institute last year acknowledged the impressive growth of East Asia’s intra-regional trade ratio over the past 55 years. It noted how trade had become “more functionally linked to international production networks and supply chains” as well as FDI in the region. This is indicative of East Asia’s deepening regionalisation. Typically, after Japan’s export of capital to South-East Asia in the 1970s and 1980s, China took up the slack as Japan’s economy leveled off from the early 1990s. 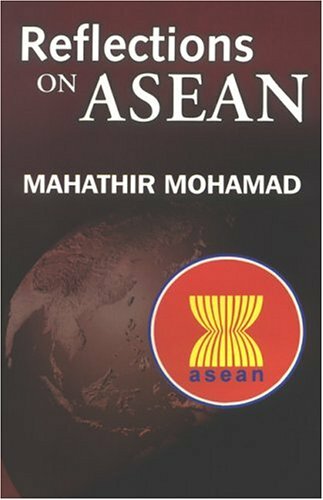 In 1990, ISIS Malaysia and Prime Minister Tun (then Datuk Seri) Dr. Mahathir Mohamad worked on a proposal for an East Asia Economic Grouping (EAEG). It was time for East Asia to come into its own. When Chinese Premier Li Peng visited Kuala Lumpur in December 1990, Dr Mahathir proposed the EAEG to him. Li Peng accepted and supported it. The idea had not been discussed within ASEAN before. Indonesia, the biggest country and economy regarding itself the region’s “big brother,” felt miffed that it had not been consulted about the plan. Singapore’s position, traditionally more aligned to a US that was not “included” in the East Asia proposal, was slightly more nuanced. Lee Kuan Yew, upon becoming Senior Minister just the month before – and on the cusp of the Cold War’s demise – still preferred an economic universe defined by the West. At the time this was the European community and the Uruguay Round as an outgrowth of the General Agreement on Tariffs and Trade (GATT). It was still three years before the European Union (EU), and four years before the North American Free Trade Agreement (NAFTA). Generally the world was still beholden to Western economic paradigms and game plans. The EAEG was thus seen as the work of some upstart Asians, in turns brash and occasionally recalcitrant. Most of the six ASEAN countries, like South Korea, accepted the EAEG even as they tried to learn more about it. But it was still at best tentative. The EAEG’s critics, however, proved more vocal. US President G.H.W Bush and Secretary of State James Baker wanted to crash the regional party by becoming a member also, or else would see the idea crash. The Uruguay Round was then seen to be quite rudderless, and APEC, itself formed just one year before, appeared fumbling in the doldrums. The EAEG, misperceived as an “alternative”, would be thinking and acting outside the box. An energised Asia owing nothing to Western patronage was far too much for an Occidental-conceived world order to contemplate, much less accept. Malaysia tried to soothe anxieties about the EAEG by emphasising its soft regionalism. It was to be only “a loose, consultative” grouping and no more. Why should a booming, rapidly integrating East Asia be deprived of a regional economic identity, when Europe and North America could develop their own? Unfortunately the EAEG’s public relations campaign proved too little too late. The idea, albeit now conceived as an ASEAN project, lacked traction and ground to a halt. Singapore saw its merits and tried a different tack. Prime Minister Goh Chok Tong proposed an East Asia Economic Caucus (EAEC) within APEC, allaying fears of an insecure US that this would remain within the ambit of a US-dominated APEC. Several political speeches and conference papers later, the EAEC idea also failed to germinate. A Bill Clinton Presidency was lukewarm-to-cool to the idea, still without the encouragement Japan needed for a nod. A flourishing East Asia would be left without a regional organisation of its own, again. In 1997 the devastating Asian economic and financial crisis struck, hitting South Korea, Thailand and Indonesia particularly badly. If the EAEG had been in place by then, greater regional cooperation and coordination would have helped cushion the shocks. Suddenly, South Korea took the initiative to push East Asia into forming a regional identity: ASEAN Plus Three (APT). This grouping would consist of the same EAEG countries. Japan this time was more accommodating, and the APT was born. For decades, “the West” led by the US was identified with open markets and free trade. But now a Trump Presidency deemed protectionist, even isolationist, is hauling up the drawbridge and raising the barricades with tariffs and other restrictive measures. These are aimed at allies and rivals alike, whether in Europe or Asia. Equivalent countermeasures have been launched, and the trade-restraining spiral winds on. China, by now identified globally as a champion of open markets and free trade, has called on Europe to form a common front. Strategic competitors are making for strange trade bedfellows and vice-versa. Dr Mahathir was on his annual visit to Tokyo last month for the Nikkei International Conference on the Future of Asia. He duly revisited the idea of an East Asian economic identity and community. For emphasis, he added that he preferred this to a revised Trans-Pacific Partnership that the US has now rejected. How would an EAEG now play in today’s Japan and East Asia? More to the point, how would it play in Washington? The answer may still determine its prospects in Tokyo and East Asia as a whole. It is possible that the US has become too tied to the idea of battling trade skirmishes, if not outright trade wars, with any presumed adversary to have time to frown on an EAEG. Dr Mahathir has noted how this is the time for such a regional grouping, since we still need it and particularly when the US is helping to justify it. It is also conceivable that Japan today is more open to the EAEG, just like with the APT post-1997. The more the rhetoric of a US-China trade war rages, the more likely East Asia can finally develop a regional economic identity of its own. Even a US-EU trade conflict will do. East Asia should not be too choosy about its benefactors. 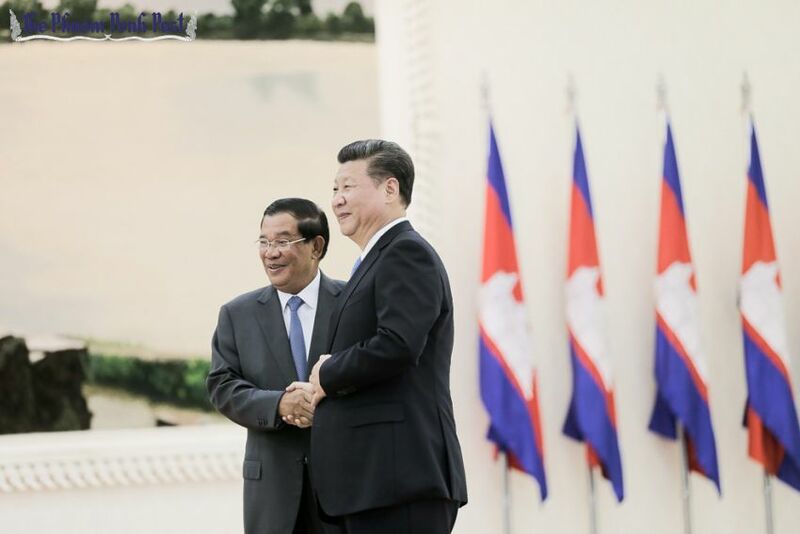 Posted in APEC, ASEAN Economic Community, Cambodia, China, China -One Belt One One Road Policy, Donald J Trump, European Union (EU), Foreign Policy, Global Issues, India, Japan, One Belt and Road Initiative (BRI), Regionalism, Shinzo Abe (Japan), US-China Relations, www.thestar.com.my, Xi Jinping. But turning this possibility into reality will be extraordinarily difficult. There are many reasons to doubt whether North Korea will ever give up weaponry that, more than anything else, explains America’s willingness to take it seriously and treat it as something of an equal. In addition, the experience of Ukraine, a country that gave up its nuclear weapons, only to see the world do nothing when Russia annexed Crimea, hardly provides a reason for Kim Jong-un to follow suit. Much the same could be said of Libya, given Colonel Muammar el-Qaddafi’s fate. Richard N. Haass, President of the Council on Foreign Relations, previously served as Director of Policy Planning for the US State Department (2001-2003), and was President George W. Bush’s special envoy to Northern Ireland and Coordinator for the Future of Afghanistan. He is the author of A World in Disarray: American Foreign Policy and the Crisis of the Old Order. Posted in Asia, Diplomacy, Donald J Trump, Foreign Policy, John Walras Bolton, Lee Hsein Loong, North Korea, Project-Syndicate.org, Shinzo Abe (Japan), South Korea, US-China Relations, Xi Jinping.